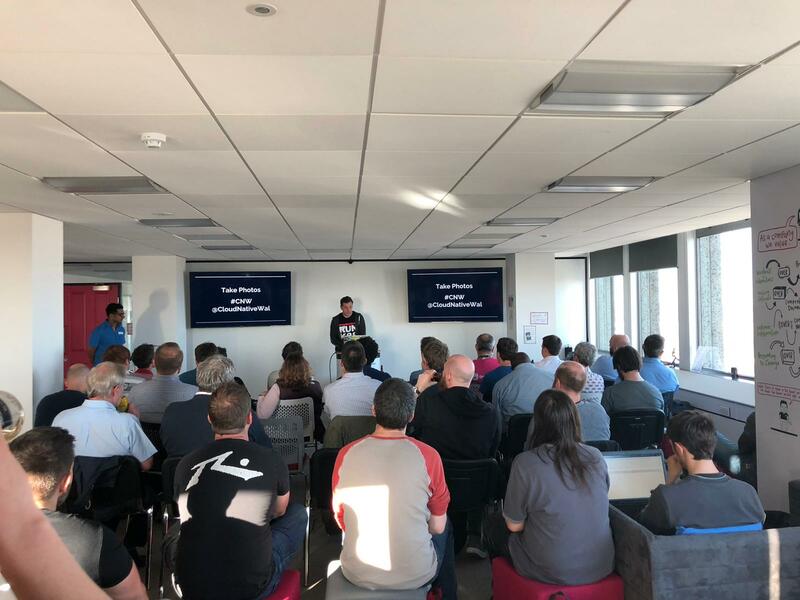 OUR TWELFTH MEETUP Thursday, April 11th, 6pm at DevOpsGroup offices, Cardiff. 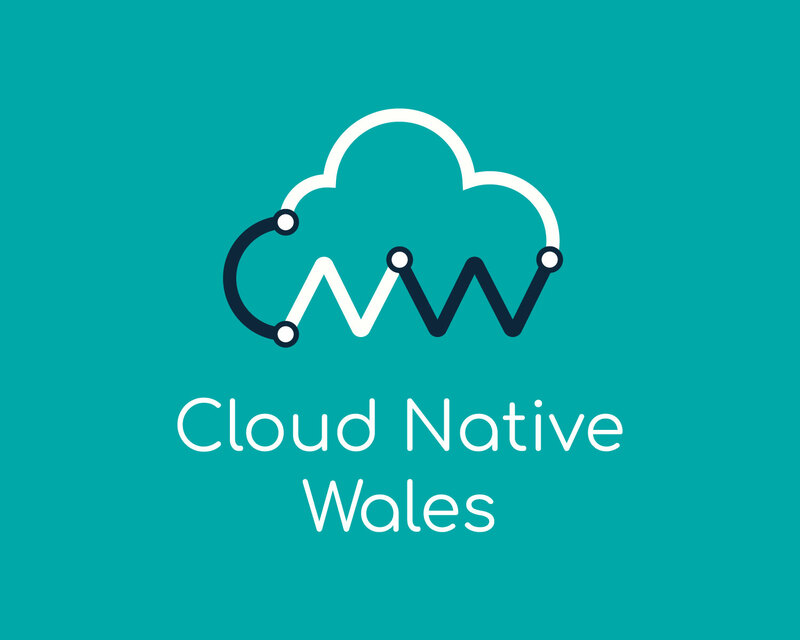 Meetup Page Livestream (Link will be added prior to the event) Welcome We’re Cloud Native Wales and we want to talk all things Cloud Native! Agenda Anouska Streets (@AnouskaStreets) Beyond the Platform Experience - Exploring how our brains work under cognitive load and applying these insights to create a holistic developer experience that enables software engineers to reach their full potential. OUR ELEVENTH MEETUP Thursday, March 14th, 6pm at DevOpsGroup offices, Cardiff. Meetup Page Livestream Sponsors LearnK8S Jetbrains SkillsMatter Brendan Collins LinkedIn Talk Video Sadly, this was our first live video and the encoding on the stream couldn’t handle it. Its not ideal but there is audio available but the final part of the talk is missing. We apologies to Brendan for this, but will forever be grateful for helping us test out live streaming. Streaming to Wales Since creating Cloud Native Wales, we’ve wanted to make sure we can share as much of the content with people throughout Wales. The reason we setup the meetup was that not everyone could make the meetups and conferences hosted outside of Wales, so we brought it to Cardiff. But not everyone can make it to Cardiff, so how do we fix that? Lessons from Football I once heard a story about Football being streamed live at 3pm within the UK, outside of the UK people can watch Saturday 3pm kickoffs live but we can’t do that with TV services in the UK. OUR TENTH MEETUP Thursday, February 7th, 6pm at DevOpsGroup offices, Cardiff. Meetup Page Meetup Details Speakers Matt Turner Matt is a software engineer at Tetrate, working on Istio-related products. He’s been doing Dev, sometimes with added Ops, for over a decade. His idea of “full-stack” is Linux, Kubernetes, and now Istio too. He’s given several talks and workshops on Kubernetes and Istio, and is co-organiser of the Istio London meetup. OUR SECOND MEETUP Wednesday, June 20th, 6pm at DevOpsGroup offices, Cardiff. 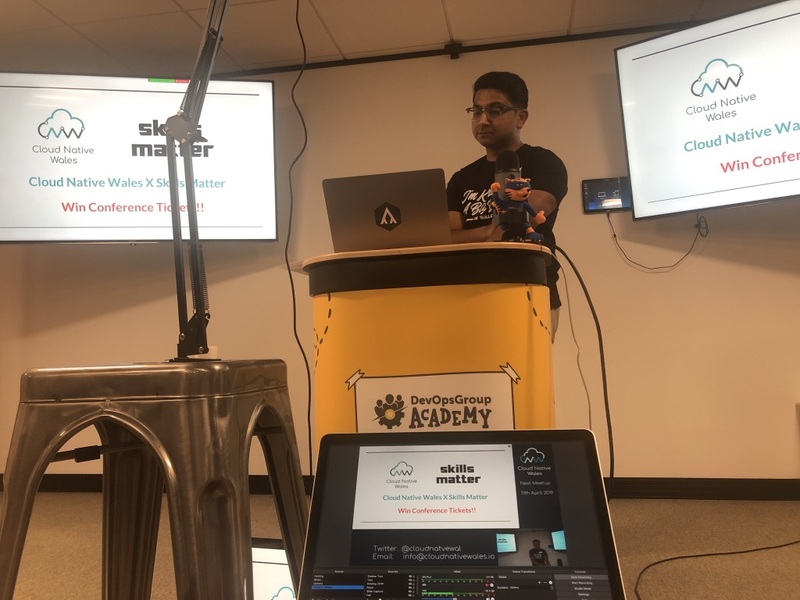 At the offices of the (newly-rebranded) DevOpsGroup, on the 22nd floor overlooking Cardiff Castle, the Meetup was kicked off by Lewis and Salman, with a brief reminder of what CloudNativeWales is, and the community’s Code of Conduct. Then it was time for the first talk! Talk: Hassle-free, scalable Machine Learning with Kubeflow Basia Fusinska Basia works at Google in London as a Strategic Cloud Engineer and has a strong background in both software development and Machine Learning algorithms. SINCE KUBECON We’re sending out tweets and emails to people we’ve met in KubeCon. Being personal is a core value for us, but there is some content cross-over. Rather than send you several links, we thought we could host a blog post instead to direct you around. Here’s a clip of what we got up to at KubeCon: When @SoulmanIqbal & @denhamparry went to @CloudNativeFdn #KubeCon #CloudNativeCon! Sound On, make it loud 🔊 #Copenhagen pic. Lightning Talk: Book Club Lewis (https://twitter.com/denhamparry) presented a lightning talk at Swansea Software Development Meetup (SSDM) about the new Cloud Native Wales (CNW) Book Club initiative. The venue that SSDM have at TechHub, Swansea is fantastic. Its a 2 minute walk from the train station and a really comfortable area to watch and give talks. The lightning talk was based on the Ignite format of 15 seconds per slide with a total of 20 slides.